Black scoters are more common on the East and West Coasts of the U.S., but several have already been taken this season by Louisiana hunters. 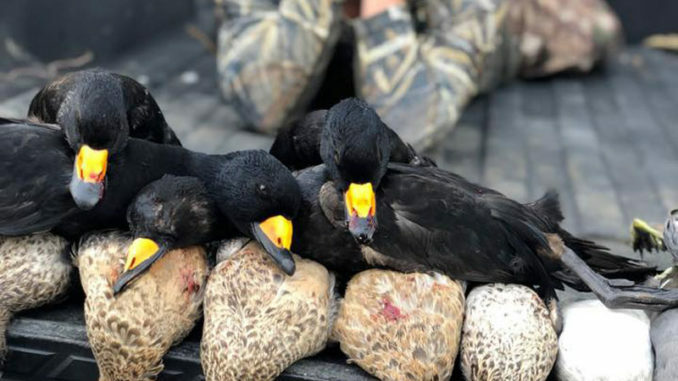 A sea duck more commonly found on the East and West Coasts has been turning up on Louisiana duck hunters’ straps already this season — likely because of the strong, fast-moving cold front that barreled into the state just before the Coastal Zone kicked off on Nov. 10. 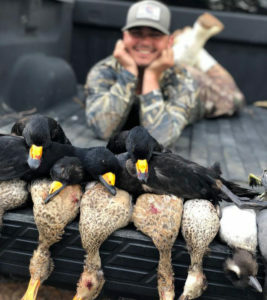 Larry Reynolds, waterfowl study leader for the Louisiana Department of Wildlife and Fisheries, said he’s gotten reports and pictures of several black scoters taken from spots including Caddo Lake, Johnson’s Bayou, Des Allemands, the Biloxi Wildlife Management Area and even Henderson Swamp. “Typically these are coastal birds, common on the East Coast or the West Coast or the Great Lakes,” Reynolds said. 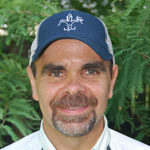 “Every year I get a few reports, but usually it’s late in the season and usually it’s on one of the big reservoirs, like Caddo Lake or Bistineau or a place like that. Reynolds didn’t have a definitive answer on why so many of the sea ducks were being seen here — especially this early in the season — but ventured a guess that the strong cold front that blew into the state right before opening weekend likely played a part in the birds’ appearance this month. James Wheat poses with the four black scoter drakes he and Jake Bernard shot Sunday morning in Caernarvon. All four birds are being mounted, he said. It didn’t end well Sunday morning for four black scoter drakes when they headed for James Wheat’s blind in Caernarvon around 8:30. He and Jake Bernard needed four more ducks to finish up their two-man limit, and they wound up knocking down all four. “When they came in, I thought they were redheads because of how dark they were and they were low-flying,” Wheat said. “But when they got close, I could see that orange spot on their nose. Wheat, who owns Wheat’s Custom Calls in St. Bernard, said he’s mounting the two birds he shot, and Bernard is mounting the two he knocked down to commemorate a morning they won’t soon forget.